Get Stealth info and prices, Today! Stealth is an innovative exercise platform that makes the plank much more enjoyable, while sneakily making the exercise more challenging at the same time - hence the name "Stealth". Stealth challenges you to use your core muscles as a kind of "joystick" to control a game on your smartphone while using Stealth. The movements target all your muscles and the competition creates a fun distraction. You can even intensify the workout by competing with others playing the game. Your Core Score is calculated based upon how long you play the game, and also how many targets you destroy. The game gets progressively harder as you play, and you earn more points for achieving higher levels in the game. Your Core Score is a great way to track your progress and to help you achieve a healthier body because the core is the foundation of fitness. 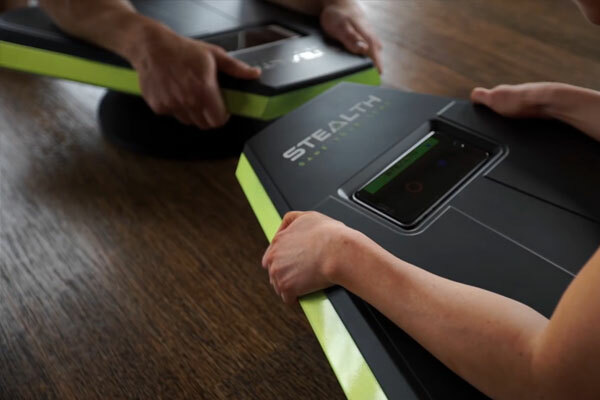 Stealth has made the plank fun, and the Stealth gaming app makes planking competitive and challenging. Now you too can experience the benefits of dynamic planking while competing with people worldwide. With traditional planking, the burn comes on quick - so you know you're putting in work - but at the same time, it's boring to just sit there and hold it. The best test of core strength requires you to literally stay still until the time is up, meanwhile all your attention is focused on that stinging sensation and the slow-ticking of the timer, which seems to move even slower as you get close to your target time. It's hard to consider the long-term benefits when 60 dull seconds can feel like 25 minutes as you're fixating on nothing but the time passing and pain brewing. With Stealth, the normal static plank becomes dynamic, fun and engaging. 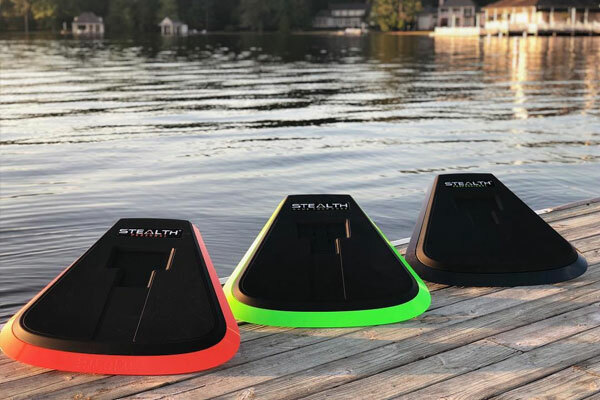 The reinvented balance board-like platform promotes a fun interactive way to tackle an even more intense workout, without the dread factor. Don't think you can get addicted to planking? Game your core with Stealth and let us know how you get on.